All workshops held at Sa'diyya's home-studio in Frisco, TX. 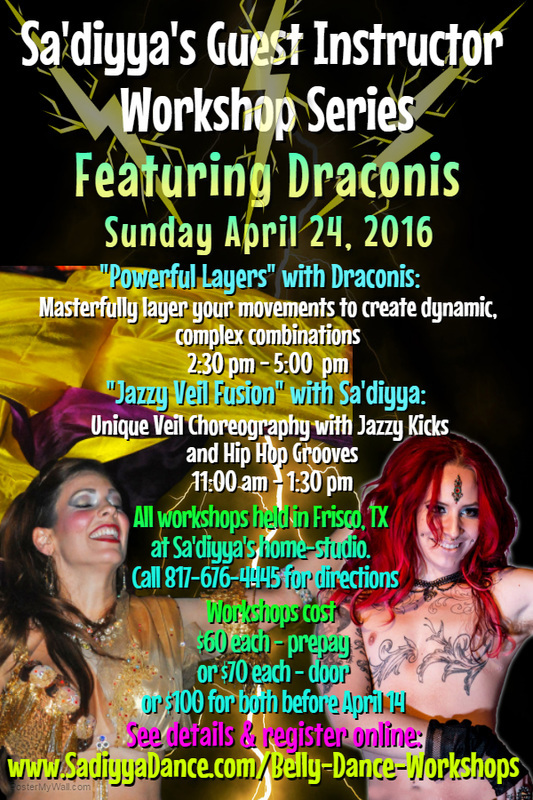 Guest Instructor Workshop: "Powerful Layers" with Draconis! Known for his powerful, ground-breaking shimmies, Draconis teaches this class on how to masterfully layer your movements to create dynamic, complex combinations. A handout will be given with exercises on challenging your ability to layer movements. He will teach his favorite combinations, as well as guide you to creating your own unique, signature moves. 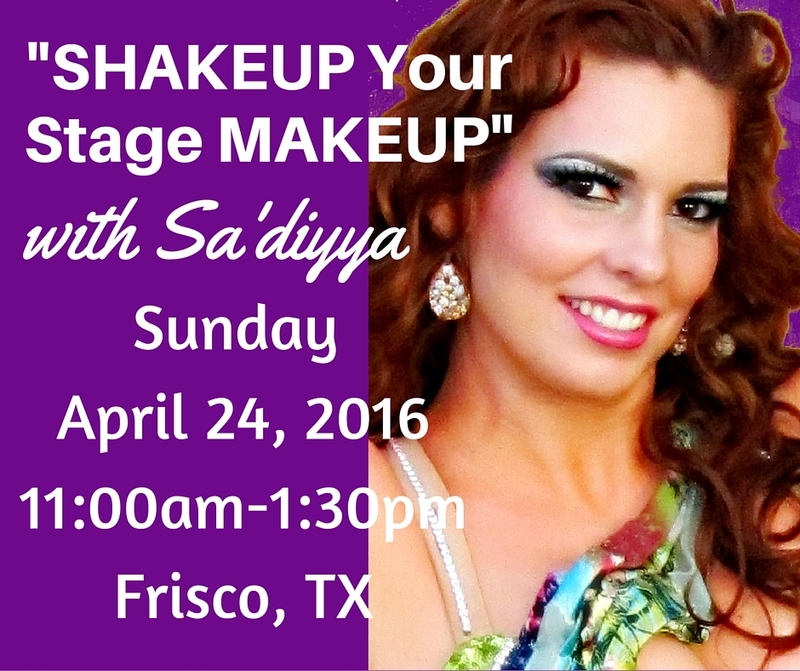 Sa'diyya Workshop: "SHAKEUP Your Stage MAKEUP"
Get ready to learn all of Sa'diyya's tricks for fabulous stage makeup! You will learn how to totally glamorize yourself for small, intimate stages to huge theatrical halls! Dancers who need to have their glamorous appearance last for hours through many performances will also learn how to keep both their makeup and hair looking super fresh through sweat and humidity. Flashy makeup tricks like applying glitter and the smokey cat-eye look will be taught, too! Also, makeup tips for aging skin and information about natural cosmetics will be covered! ​$100 for Both Before April 11, 2016! ​$100 for Both Before June 1, 2016!